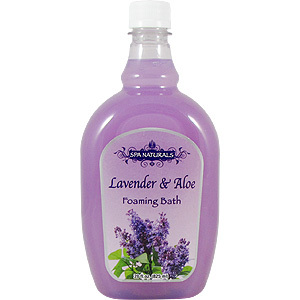 Spa Naturals Lavender & Aloe Foaming Bath uses pure natural spring waters and other nourishing ingredients to condition and soften your precious skin. 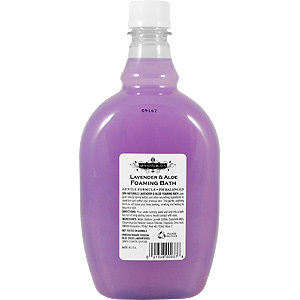 This gentle, soothing formula will leave your body looking, smelling and feeling its beautiful best. Water, Sodium Laureth Sulfate, Cocamide MEA, Cocamidopropyl Betaine, Sodium Chloride, Fragrance, Citric Acid, DMDM Hydantoin, FD&C Red 40, FD&C Blue 1. 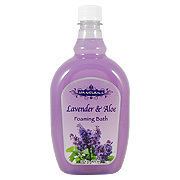 Lavender & Aloe Foaming Bath is shipped in a discrete, unmarked package. Orders are processed immediately and usually take about 3 to 5 working days to be received. Any information received is used only for order processing and shipping purposes. Your information, such as e-mail address, will never be disclosed to a third party.